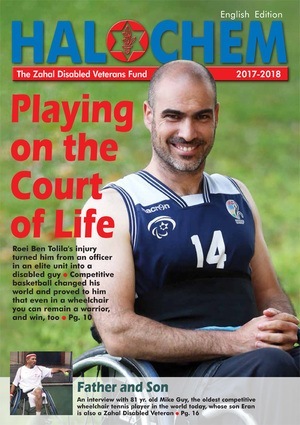 Since 2014, Friends of Israel Disabled Veterans-Beit Halochem (FIDV) has been actively reaching out to Millennials through its Young Leaders Board, which focuses on raising awareness of the organization’s mission and critical program funds. Michael Shmuely and Jacob Kent, Chairs of the Young Leaders Board, are leading an active committee of over 50 members. Michael Leichtling, longtime Chair of the FIDV Board of Directors, believes the Young Leaders Board is the future of FIDV. Their commitment to helping Israeli disabled veterans runs especially deep, especially for Michael Shmuely. He heard family stories about his father’s cousin, Sorin Hershko, who was disabled in 1976 in Operation Entebbe, and today is quadriplegic. “He comes to Beit Halochem for therapy 2–3 times per week, and in 2016, I got the opportunity to visit,” Shmuely explained. Beit Halochem is an essential part of his life. Brave soldiers and terror survivors, once seriously wounded, are still the foundation of our community and need our help. With the participation of these new Young Leaders, we hope to enter a time when even the most seriously wounded Israeli warriors can heal, recover, and rejoin the larger Jewish and Israeli communities. Since its inception in 2014, the FIDV Young Leaders have raised close to $300,000 in support of our heroes. Take a look at our past events and projects.